POINT TOWNSHIP — The new W & L Subaru Dealership will soon be ready to open their doors. T-Ross Brothers Construction Inc. started the project last spring and the work is wrapping up on the new state-of-the-art dealership. The new dealership is located along Route 11 in Point Township, about a mile from the current location in Northumberland. Using a drone, T-Ross Brothers took new photos of the construction progress. The dealership is expected to be completed in mid-March. 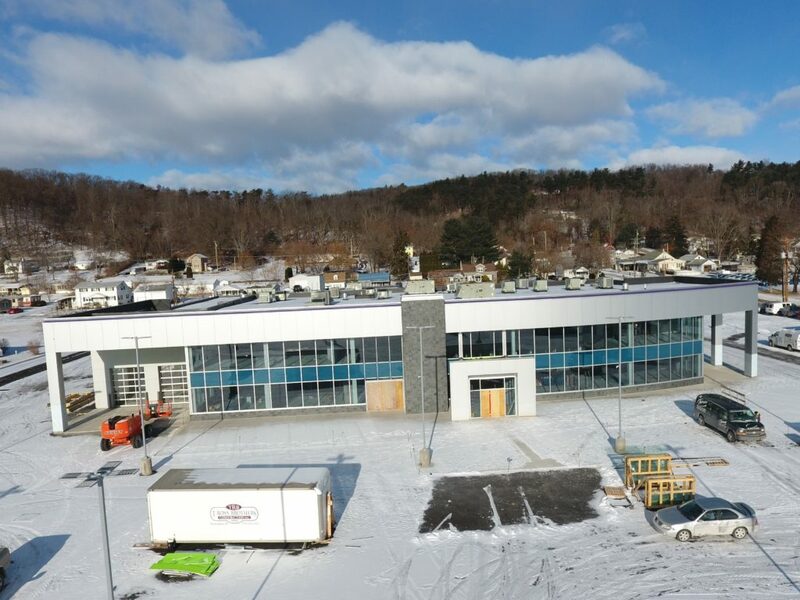 The post Aerial progress photos of the new W & L Subaru dealership appeared first on T-Ross Brothers Construction, Inc..